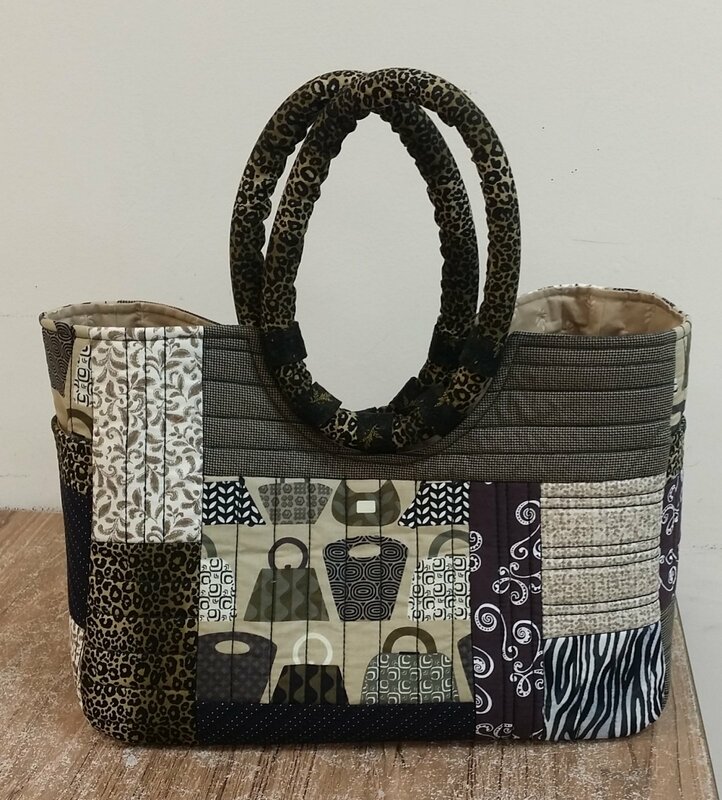 This is a roomy bag that can be used for travel, projects or for that time you need a roomy purse. Would even make a great diaper bag! Handles are soft yet sturdy so they are comfortable. Combines the option of piecing and quilting with the ability to customize the interior with the pockets you need. The pattern includes two versions, the pieced with 8 fabrics and the 1 fabric version.